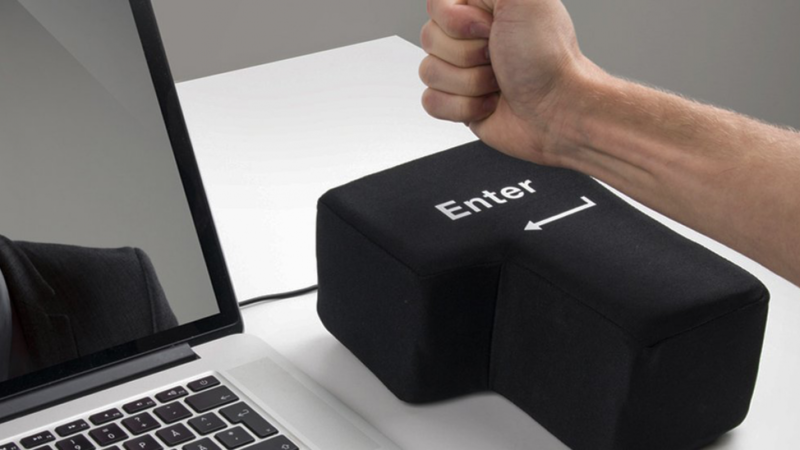 This giant stress relieving enter key is sure to get some use because sometimes computers are frustrating. 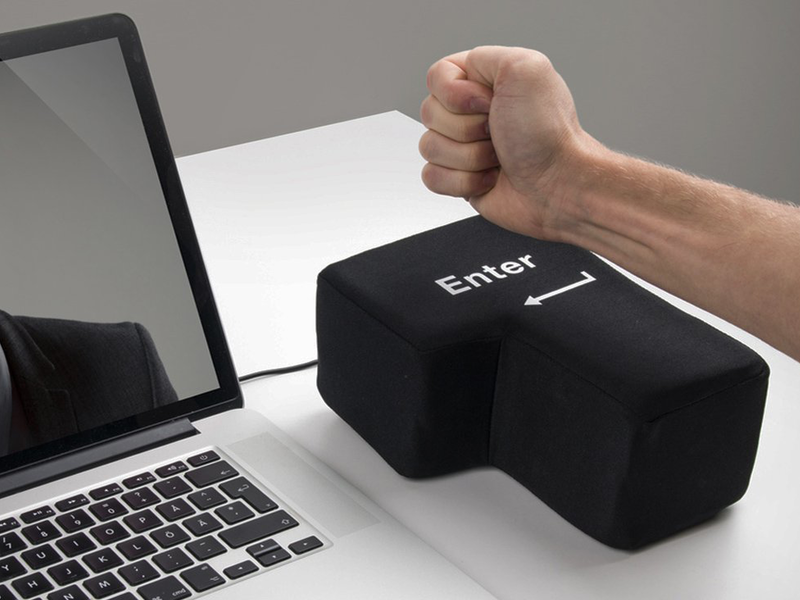 You can use it as a pillow but you can also connect it to your computer and it will operate as they enter key. Frustration with computers can be caused because or user error, computer problems or just long work days. This is a fun way to make it a bit more interesting and relieve some stress. There is a sponge inside the giant enter key so it is soft and comfortable to use. Next time you are board or have the urge to hit your keyboard because of issues this will be your way to vent. It is made for this purpose so you can hit it hard without damaging anything. Using it as a pillow is a cute idea for an office, bedroom or living area. Maybe if you become tired while working you can put your head down on it and take an impromptu nap. We all know a computer geek or an office worker with a unique sense of humor. This is the type of person who might appreciate a novelty gift like this. It is something different and you can almost be guaranteed that you will be the only person who gives it.